Looking for the latest 2018 e-commerce statistics of 2018 that are actually relevant? Then look no further. We’ve rounded up 15 of the most insightful statistics gathered so far this year (not referenced from 2011!). Keep checking back for new facts and figures – we’ll be updating this article on a regular basis to provide even more insights. It’s important to remain informed of the latest industry trends and e-commerce statistics. Doing so is one of the easiest ways to get a clear idea of where the market is growing and evolving, and to make sure your online shop is keeping up. It can also be a way to explore any untapped e-commerce niches which your brand could exploit. Our first ports of call when gathering these data were Think With Google and the UK Office for National Statistics, two highly reliable sources that we recommend for further reading. Online sales have shown a very strong growth rate, accounting for 17.4% of all retail sales in the UK compared to 15.9% with the previous year. Clothing, textile and footwear stores have seen the greatest year-on-year growth in online sales at 16.5%, closely followed by department stores at 13.9%. Average e-commerce weekly sales reached just under £1.25 million in January, a figure that is steadily growing. The UK is currently second only to Norway in its average number of online sales made per person. Global mobile commerce revenue is projected to reach $669 billion dollars this year. Speaking of m-commerce, users who have a negative experience on a mobile site are 62% less likely to purchase from you in the future. Cart abandonment rates have been steadily increasing year-on-year, with the average in 2018 at around 69%, up 10% since 2006. Finance is the sector with the highest cart abandonment rate at 83.7%. Google display campaigns now reach 80% of global internet users. As such, this type of paid advertising is best for e-commerce companies looking to expand their global reach. The UK has the greatest share in online retail sales compared to the rest of Europe. The path to purchase is no longer a linear affair. Salesforce have estimated that 75% of consumers conduct online research before making a purchase online. Interestingly, 38% of that research was conducted on social media. All the more reason to familiarise yourself with research online, purchase offline behaviour. Return rates are on the rise. Worldwide courier ParcelHero said that returns represented 47% of all its shipments at the beginning of 2018. …and 58% of consumers have used voice search to find local business information over the past year. The latest figures show that it’s roughly 7 times more expensive to retain an existing customer than to obtain a new one (!). What do these e-commerce statistics really tell us? Having these key stats to hand is certainly useful, but they don’t mean much on their own. So how can they inform your direction in the e-commerce landscapre? Well, it’s clear from these and other relevant statistics circulating that the focus of 2018 and beyond is on m-commerce and the rise of new e-commerce technologies, particularly voice search. This doesn’t mean, however, that we’ll be saying goodbye to traditional brick-and-mortar stores any time soon. Why? Because the numbers show that an increasing number of consumers are researching on their mobile devices while in physical stores to empower and advise their purchase decisions. 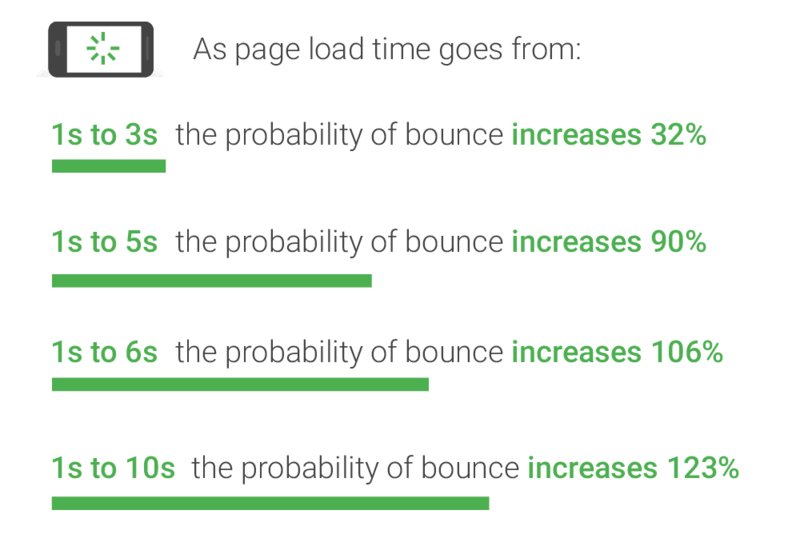 This in turn means that online retailers must invest more time and resources on optimising their e-commerce mobile performance to support their in-store sales. It’s all part of the omnichannel experience. In short, these statistics can empower online businesses to make data-driven decisions. Business owners must optimise, customise, and singularise the e-commerce experience into one seamless flow. This will be the only way to continue to grow and compete in the future of e-commerce. We recognise the importance of best-in-breed technology to drive online performance here at blubolt. We can help you fulfil your brand’s growth goals with a bespoke online platform and tailored e-commerce solutions. Contact us to find out how.